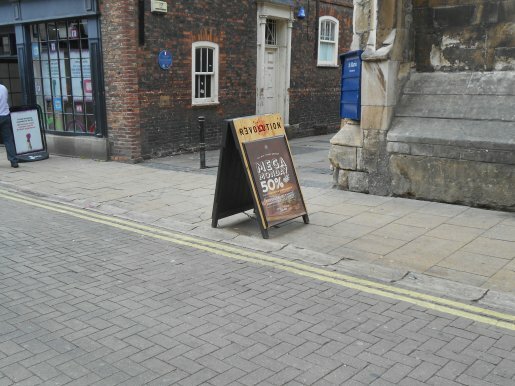 In 2008, the council threatened businesses who did not remove A-boards with a £2,500 fine over fears they would block pavements and cause accidents, but relented the following year, telling traders no action was likely if boards were propped against buildings. Here’s an A-board that I have moved onto the pavement. That’s why the people tramadol were falling over. One tripped as I was investigating. It’s the heavy lorries that do it. We need more A-boards to keep them off the pavement. 1) What’s my legal position in moving an A-board for public safety. 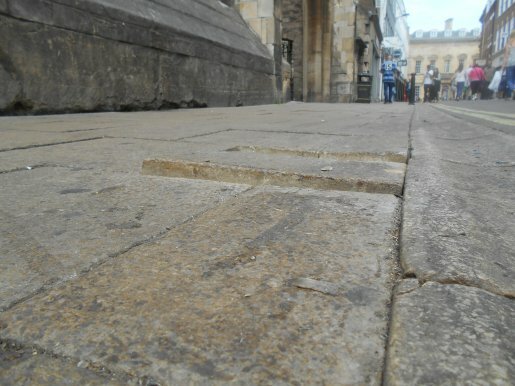 2) What would York Council’s legal position be if they insist on it being moved and put the public at risk. 4) Any action against the lorries? P.S. The A-board is being read more often.